M.A.R.S. 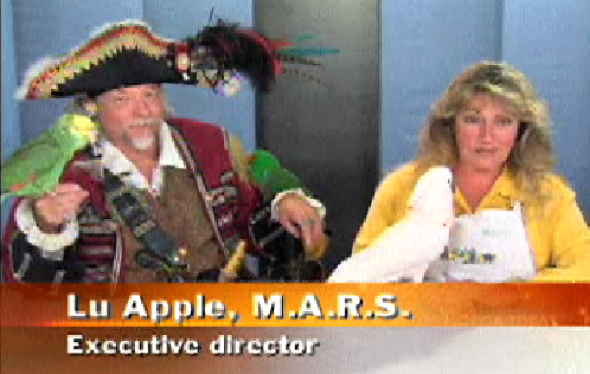 founder Lu Apple and Captain Daniel Red on "Today in Brevard"
We were on TV again! 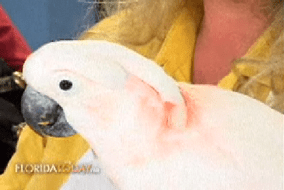 The show “Today in Brevard” featuring the Melbourne Avian Rescue Sanctuary (M.A.R.S.) just aired – and we are able to share the video including the entire episode with you. ....and Cuddles, a beautiful Moluccan. 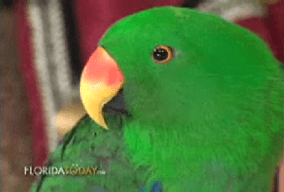 My “co-stars” on the show included my dear friend Captain Daniel Red, his Amazon parrot named Captain Morgan as well as two of our birds which are available for adoption, Cuddles (a Maluccan) and Jayjay (an eclectus). Please sponsor a M.A.R.S. parrot by visiting our parrots for adoption and forms page. Also consider to make a donation to support our or become a member of Melbourne Aviary Rescue Sanctuary. Thanks!